Put Tesla on the map – This time in Hamilton, Canada! 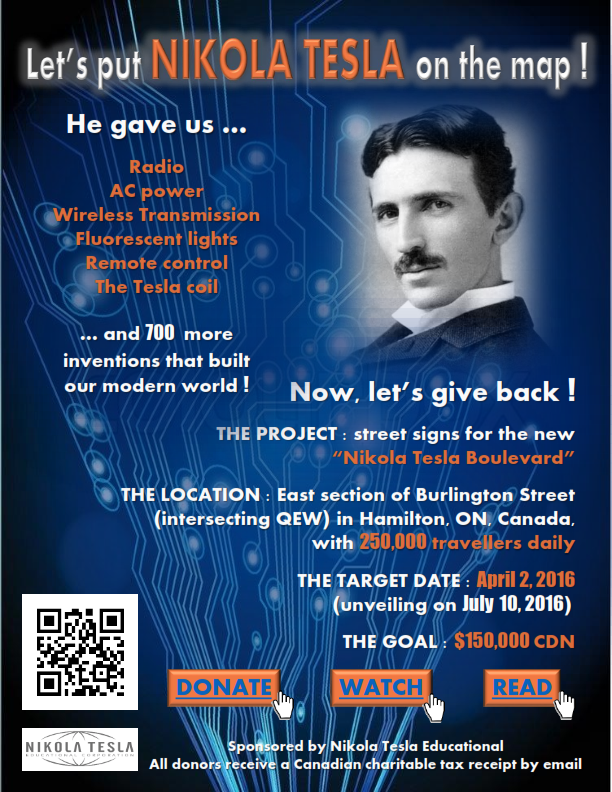 We’ve received the message from NTEC (Nikola Tesla Educational Corporation), an official registered charity in Canada (Charity # 815431374RR0001). 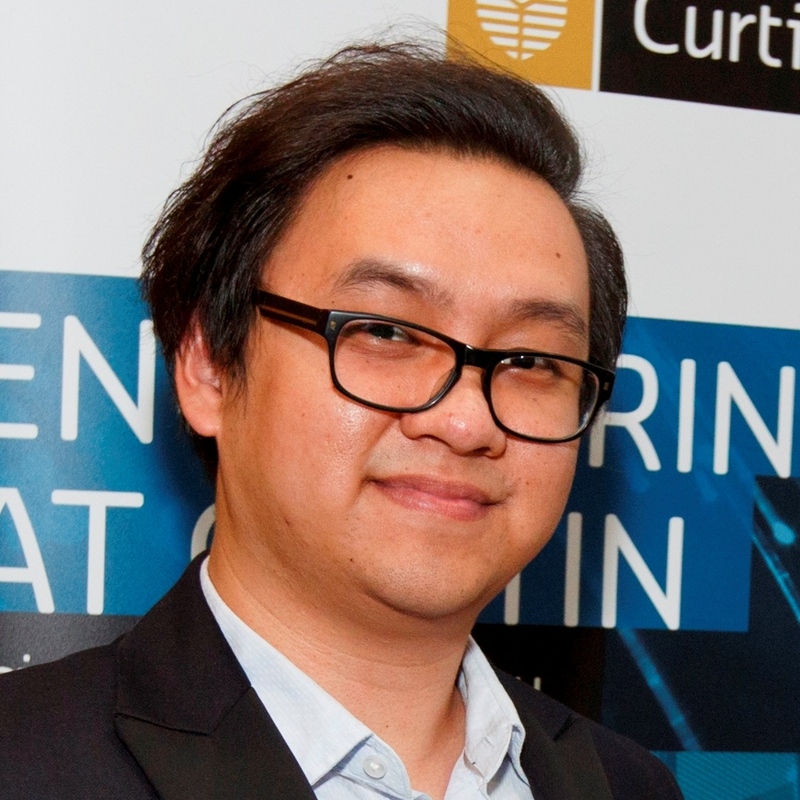 NTEC promote Tesla’s legacy to the public, as well as science, technology, and innovation among the youth, which is fully aligned with the activities of Tesla Forum in Western Australia. 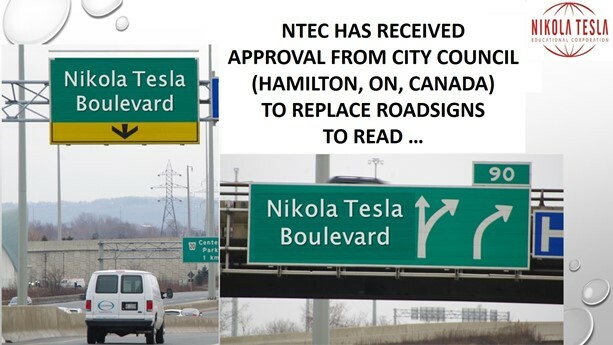 NTEC have obtained official permission from City Council (Hamilton, Ontario, Canada) to rename part of a major Canadian roadway (with 250,000 travelers per day) to “Nikola Tesla Boulevard”! NTEC’s responsibility is to raise the $150,000 (Canadian) to pay for the road sign changes, and so far about 25% was raised. Tesla Forum invites its members and supporters to contribute to this great project and spread the word around to those that might be willing to assist. Each contribution, no matter how minimal, will be very much appreciated. Please donate by 31 March 2016!